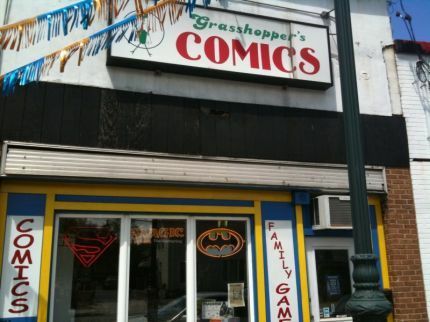 Grasshopper Comics, Williston Park, NY | it's yaytime! Grasshopper Comics Annual Holiday Fundraising Party & Book Signing! Bring a new, unwrapped toy for the Charity Raffle at Grasshopper Comics. All proceeds go to the John Thiessen Children’s Foundation (JTCF.org). There will be an afternoon drawing party with snacks, artists and writers, as well as appearances by Darth Vader, Stormtroopers, and members of the Justice League of America! Guest authors include: Jacob Chabot (Voltron, Mighty Skullboy), Chris Giarrusso (G-Man, Mini-Marvels), Dave Roman (Astronaut Academy), and Raina Telgemeier (Smile, Drama). This entry was posted in Events and tagged events, fundraiser, holiday, long island. Bookmark the permalink.